Seller’s Market and Buyer’s Market – What is there to fuss about? What is a seller’s market? For folks who are thinking about buying a home need to be aware and understand the definition of a seller’s market. In a seller’s market, home prices are generally higher therefore providing less value in the homes that are being purchased during that time. Low inventory and homes in great locations creating a bidding war amongst buyers that certainly can escalate the purchase price well above the listing price. What is a buyer’s market? Home buyers notice plenty of homes are available and prices are dropping creating better value. Sellers during that time making great sacrifices by reducing the price just so their home appeals to the buyer. Less competition and more home to choose from compared to purchasing a home during a seller’s market. 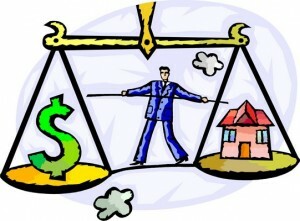 Seller’s market and buyer’s market can have a reverse affect on you, the home seller and the home buyer. Why? Seller’s Market in a Buyer’s Market – Sounds confusing? Bear with me while I will try to make some sense here about defining buyer’s market and seller’s market. You might wonder what about the old supply and demand adage – well it has nothing to do with supply and demand, but all about pricing. Buying a home during the buyer’s market, as it is known today, can end up being a seller’s market because it is only a buyer’s market with one offer on the table, however when another offer is being presented to the seller it is no longer a buyer’s market. This often happens now during the time where foreclosure dictate the real estate market here in Lakeland and all of Florida. Home buyers want a great deal creating multiple offers. But this also happens even in a traditional sale today with homes that are priced correctly. There are so many homes not being sold, primarily because they are overpriced. Seller’s must realize that the value of their home only bears what a buyer is willing to pay for your property and what the appraiser valuing the home, so the buyer can purchase your home with a mortgage. Pricing correctly in a buyer’s market and seller’s market would eliminate the fuss of home being overpriced, seller’s complaining about their home being on the market too long without any interest. Imagine if all homes were well priced, chances are the time on the market for the homes would be a whole lot less than today’s average time on market. I would rather see a balanced market than a buyer’s market of today or a seller’s market we experienced during the boom of 2005 and 2006 which created havoc amongst buyers and sellers.